Islamic Mosque at Antioch Belle Forge Theater? 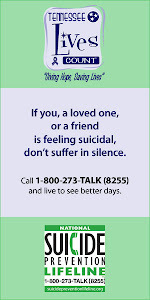 After reading the information below, I would like to hear from you. What are your thoughts? I am not sure if Councilmember Robert Duvall, where the site of the Islamic Center is proposed, is planning a meeting as it is in his district and is a matter of great interest. I received an email May 15 from a gentleman in District 29 that asked me about whether I knew that an Islamic Mosque was in the works at the Antioch Belle Forge Theater. He was very concerned about the mosque being placed at this location. He provided the website that indicated such mosque was being planned at this location http://theictn.org/. The acronym ICT is the Islamic Center of Tennessee. Believing that the location was in Councilmember Sam Coleman’s district, I contacted him shortly thereafter to see if he knew anything about it. He promised that we would investigate and get back with me. During that time, it was quite ironic that Williamson and Rutherford counties were in the news daily for a similar issue. Nevertheless, prior to start of a recent council meeting, I asked Councilmember Coleman about what he had learned. First, he stated that the location that I referenced is in fact in Councilmember Robert Duvall’s District 33 and not in his District 32. He stated that he learned of this shortly after talking with me. He went on to share that the property in question has a zoning that allowed for religious use. He did further state that he informed Councilmember Duvall about it and that he was respectfully letting him handle the matter since it was in his district. I agreed. In checking with Planning, the property carries a Commercial Planned Unit Development (PUD) overlay that allows for the commercial use as well as the religious institution use. Under this zoning, religious type use is allowed. There is also an underlying zoning of AR2 which is Agriculture Residential that also allows for such use as well. I am all too familiar with this type of scenario of this type overlay and underlying zoning that is rarely found today. As of June 28, 2010, the property is still owned by Martin Theatres with an address of Martin Theatres c/o Carmike Theatres, P. O. Box 391, Columbus, Georgia 31902. However, the website advertises a countdown to closing on the property of 42 days. A closing date leaves me to believe that Belle Forge is being purchased by ICT and not leased. ICT has also planned a fundraiser at the Belle Forge location for July 11, 2010 to increase collection from 1.15 million to a goal of 1.55 million. According to the website, it appears that this will be their second fundraiser. As of June 28, 2010, no application of permits of any type Use and Occupancy permit has not been applied for which is something that will be required. This is something that would be provided by Metro Codes. So, what are your thoughts about this? Please feel free to leave your comments and be sure to take the poll on the side of the blog regarding this issue. NASHVILLE, Tenn. – Mayor Karl Dean today announced the launch of a local rebuilding assistance program called We Are Home, which is intended to provide additional funding to help Nashville residents repair their flooded homes when FEMA and SBA are not enough. “The federal government was swift to respond to this disaster and has been a constant presence in our recovery efforts since,” Dean said. “But the reality is many Nashville homeowners’ needs are beyond the limitations of the available federal disaster assistance. We Are Home is a true public-private partnership that will funnel cash donations to the area of greatest need – helping Nashvillians get back in their homes. We Are Home is a joint effort of Nashville’s private and public sectors, including The Community Foundation of Middle Tennessee, financial institutions, nonprofit organizations and Metro Government. The Housing Fund, a local nonprofit organization dedicated to affordable housing and neighborhood revitalization projects, is administering the program with support from the Metropolitan Development and Housing Agency and the Mayor’s Flood Recovery Team. “In the weeks since the flood we have talked to many homeowners who have repair costs well beyond the disaster assistance provided by FEMA and SBA. Through We Are Home all sectors of the community are coming together to help close this gap and get Nashville families back into their homes,” said Loretta Owens, executive director of The Housing Fund. To date, $7 million has been allocated to support We Are Home, which includes $5.1 million reallocated by the Metro Council from two federal grant programs, $1 million from Regions Bank and $900,000 from two equal grants from The Community Foundation's Metro Nashville Disaster Response Fund and its Tennessee Emergency Response Fund. The goal is to identify a total of $50 million – combination of federal grants, citizen donations and private sector contributions – in order to meet all of the anticipated financing needs of Nashville residents. · First, a 4 percent interest loan will be offered based the individual’s ability to repay with terms ranging from five to 20 years. · Second, if repair funds are needed beyond an owner’s ability to repay a loan, they will be eligible for a grant up to $10,000. · Third, if a gap remains after the grant, an owner will be eligible for a 0 percent interest Due-On-Sale loan up to $20,000. The Due-On-Sale loan does not require a monthly payment. Instead, the loan is repaid when the property is sold. Reconstruction projects that require additional resources beyond these three funding sources will be referred to volunteer rebuilding agencies for assistance, including Hands On Nashville, Habitat for Humanity and various faith-based partners. Interested homeowners should call (615) 862-6523 to setup an appointment to meet with a housing counselor and fill out an application. Appointments will begin Wednesday, July 7. The We Are Home office is located at 300 11th Ave. S. in the former Velocity sales center. MarketStreet Enterprises provided the office space for the program rent free. Homeowners will have the opportunity to work with their existing licensed contractors, so long as established contracting procedures are followed. We Are Home is not able to reimburse homeowners for work already completed or for work to portions of their home not impacted by the flood. "Red, White, and Zoo", July 3, festivities 11 a.m. to 4 p.m.
- Fri., July 2: General Jackson cruises at 1:30 and 4 p.m., fireworks at 8 p.m.
- Sun., July 4: Festivities begin at 12 p.m., live music at 2 p.m., fireworks at 9:30 p.m.
WASHINGTON — Despite passage of the landmark health-care overhaul this spring, the nation's existing health system is continuing to fray, raising the prospect that the country could experience a crisis before the law establishes a new safety net in 2014. Three months after President Barack Obama signed the law, state governments struggling with budgets savaged by the recession are contemplating further cuts in health-care aid for the poor, despite the promise of more federal dollars. At the same time, several million laid-off Americans and their families who have used federal assistance to hold on to health insurance will lose coverage in coming months as the special assistance program expires. Those with jobs face their own challenges as employers continue to look for ways to pare health benefits and shift more costs to employees, if not drop health coverage altogether. And people in all walks of life face rising health-care prices and skyrocketing insurance premiums, which in many parts of the country are rising at double-digit rates this year. "If the economy does not improve substantially, we may be taking some steps backward before we take steps forward," said Ron Pollack, a supporter of the health-care overhaul who heads the consumer group Families USA. Obama's senior health-care adviser acknowledged that the road ahead may be rough. "Will plans continue to raise prices? Will some people continue to lose coverage? I think the answer is yes," said Nancy-Ann DeParle, head of the White House Office of Health Reform. "It is something we are concerned about." DeParle called the next several years a "bridge period" until 2014, when Americans will get guaranteed access to health coverage along with billions of dollars of federal subsidies to help them pay their insurance bills. The Obama administration thinks a series of initiatives in the new health-care law will help hold the line during this period. Since the law's passage, administration officials have begun offering new tax breaks to small businesses to encourage them to offer their employees health benefits. The administration is developing regulations designed to increase oversight of insurance companies and prevent major rate increases. The Department of Health and Human Services is working with states to set up high-risk pools for people who have been denied coverage. "I think we have tools that will help make things better than they would have been" if the health-care legislation had not passed, DeParle said. Early research suggests that some of the short-term aid in the health-care law, such as $5 billion for new high-risk pools, may be inadequate. "This is not about health-care reform," said Helen Darling, president of the National Business Group on Health, an organization of large employers that provide coverage to 50 million workers, retirees and dependents. "It's just existing pressures on the system. It's business as usual." In a March survey, a sampling of 507 large employers reported that their health-care costs would jump an average of 6.5 percent this year, slightly less than last year, but still more than three times as fast as prices are rising in the overall economy. Many large employers are shifting more of those costs onto employees. Small businesses, which are less likely to offer their employees health benefits, are under even more pressure as they wrestle with insurance premiums that are shooting up by more than 20 percent in some parts of the country. More businesses appear to be either cutting benefits or shedding employees to offset rising health-care costs, according to early responses to an economic survey by the National Small Business Association due next month. So far, federal and state officials have managed to hold together a health-care safety net with the help of billions of dollars of stimulus spending authorized by Congress last year. Washington provided an estimated $2 billion in 2009 to help more than 2 million people and their dependents hold onto their health benefits after being laid off. Now, under pressure to control spending, Congress appears certain to end the COBRA assistance, which provided unemployed workers with a 65 percent subsidy to help them pay their premiums. Normally, people who lose their jobs but want to keep their insurance through COBRA must pay the full cost of the premiums, making it unaffordable for most. Democrats on Capitol Hill are moving to provide states with money to prop up their Medicaid programs, which have seen a huge surge in enrollment since the recession began. For many, the extra aid is not expected to be enough. WASHINGTON — When the Virginia legislature recently passed a bill allowing people to carry guns in bars as long as they have a permit, the move raised eyebrows in the state and across the country. Former Gov. Tim Kaine, a Democrat, had vetoed a similar bill in 2009. And this year, Virginia's association of police chiefs loudly urged the state's new governor, Republican Bob McDonnell, to veto the bill. "We can fully expect that at some point in the future a disagreement that today would likely end up in a verbal confrontation, or a bar fight, will inevitably end with gunfire if you sign this legislation into law," Virginia Beach police Chief Jake Jacocks Jr. wrote in a letter to the governor. McDonnell signed the bill anyway, one of more than a dozen pro-gun bills Virginia approved this year; the guns-in-bars law is set to take effect this week. It was one victory for gun rights advocates in what has been a fruitful year for them in state legislatures. Tennessee lawmakers passed a law similar to Virginia's, over the veto of Democratic Gov. Phil Bredesen. Georgia lawmakers lifted a prohibition against drinking alcohol while carrying a gun in public and made it legal for people to carry guns in some areas of airports. And Indiana approved a measure allowing employees to take guns with them to work as long as they're kept out of sight in a locked vehicle on a company-owned parking lot. This week, gun rights advocates may have even more to cheer about. Today, the U.S. Supreme Court is expected to decide a case that could open more state gun-control laws to legal challenges. The case, known as McDonald v. City of Chicago, will decide whether that city's complete ban on handguns violates its residents' Second Amendment right to bear arms. Two years ago, the court decided that a similar law in the District of Columbia did violate the Second Amendment, and many legal experts expect the court to extend that precedent to state and local gun laws around the country. Robert Weisberg, a criminal justice expert at Stanford University Law School, is one of them. "There's no question," he says, "that there will be a huge increase in lawsuits against lots of state and local laws." Still, Weisberg points out that if the Supreme Court rules as expected, it's no guarantee that state and local gun laws will be thrown out. Both the D.C. and Chicago laws were quite draconian by nature — outright bans on certain guns in the cities — which made them more susceptible to a constitutional challenge. Persuading a court to find that weaker regulations are in violation of a person's Second Amendment rights won't be an easy task. In the legislatures this year, the most recent wave of action is part of a trend toward states' loosening gun laws in the wake of the 2008 presidential election. Some saw the return of a Democratic administration in Washington as a sign that gun control could once again become an issue of national political and legal significance. There have also been hints of the states' rights sentiment that has fueled state lawsuits against the federal health-care overhaul, as well as anger toward Washington in general. Some advocates of stricter gun controls say the legislative damage hasn't been as bad as it might seem. Brian Malte, the state legislation and politics director at the Brady Campaign to Prevent Gun Violence, says that while some states have moved in a more pro-gun direction, they're mostly states that already were considered gun-friendly. "They have been successful in some of these states," Malte says, "but it's the same states." Malte points to states such as California, Illinois and much of the Northeast, where he says gun advocates have largely failed to make inroads. And gun-control advocates have played offense some this session, too. In New York State, for example, the Assembly passed "microstamping" legislation before the bill stalled in the Senate, although supporters hope to revive it this fall. The bill would require that semi-automatic pistols made or sold in the state stamp cartridges with the make, model and serial number of the gun when it's fired. In California, the Assembly passed a bill that would ban the practice known as "open carry," which allows people to carry an unloaded gun in plain sight, even if the person also is carrying ammunition. Still, gun rights advocates are feeling emboldened enough to try new tactics in the legislatures and the courts. Last year, Montana and Tennessee enacted a law called the Firearms Freedom Act, a measure that exempts guns and ammunition made, sold and used within the states from federal regulations. This year, the same law was passed by six more states: Alaska, Arizona, Idaho, South Dakota, Utah and Wyoming. Advocates say the measure is a matter of states' rights. The federal government has no business regulating guns and ammunition that are not part of interstate commerce, they say. After Tami Giles saved money by riding the Spring Hill Express bus service to work in Nashville, she wanted to recruit other passengers to keep the service going. "I started the first day, and we had like five people,'' Giles said of the bus route that began in December. Giles, who works for the state Department of Tourist Development, asked for fliers to post on every floor of her building to spread the word about the new route. But interest in regional public transit appears to be on the rise, according to the Regional Transportation Authority. There are more riders using bus services to get to Nashville from Williamson and Rutherford counties, and the Music City Star, the commuter rail service connecting Lebanon and Nashville, also reports an increase in passengers. The transit authority said more people are trying public transportation because of the environment, aggressive marketing of the bus routes and new businesses signing up for the EasyRide program, which allows employers to pay for their staffs to ride. "Most of the people who are riding are people who work downtown, and before the (Spring Hill Express) was available, these customers were either driving their cars or carpooling with co-workers or neighbors, so this is a better deal,'' said Patricia Harris-Morehead, spokeswoman for the Regional Transit Authority. "They're saving money. They're helping the environment, and they're promoting public transit." When the Spring Hill Express began, there were 386 passenger trips in December, but by April that number had risen to 938. On the Franklin/Brentwood route there were 1,026 commuters in December, compared with 1,657 in April. "It's a very positive, small step in developing public transportation for the region,'' said Paul Webb, a Brentwood city commissioner who serves as the city's representative on the regional transit authority. A regional bus ride costs $3.50 per ride or $60 for a 20-ride pass. Harris-Morehead thinks both new bus routes will continue to grow. "You need to give new service at least a year to see if consumers are going to ride the service, and you need to market the service aggressively, and we've been doing that," she said. "It is growing very well, and it's growing at a rate that's similar to other regional routes that we put out there in the past." On the Nashville/Murfreesboro Relax & Ride Express there were 6,700 passenger trips in April, compared with 5,950 during the same time last year. For the Music City Star, 841 passenger trips were recorded in April, compared with 588 during the same time last year. The train is still in need of financial help, and the RTA board and finance committee are attempting to secure permanent funding for it, officials said. To read the entire article, please click on the link above. Nashville, TENN. - A handful of customers and store employees huddled inside the Mapco convenience store off Trousdale Road Saturday night, wondering when the electricity would be restored. As of 10:45 p.m., many on the south side of Nashville were still in the dark. "(The) ceiling caved in, as you can tell, and my sign kinda blew away," said Alex Martinez, owner of the nearby Mama Mia's restaurant. "We'll be OK. Nobody got hurt, and that's the most important thing." Martinez said his popular, Italian eatery was half full of diners when the storm hit around 7:30 p.m. Saturday. Apparently not intimidated by the violent straightline winds - 70 miles per hour, according to Martinez's estimation - thunder, lightning and torrential downpour of rain, Martinez said some his customers remained in the restaurant to finish their meals. The Mapco store, just next door, was hit hard, too. A man under the gas station's fueling canopy watched his new Audi sportscar fall victim to a falling gas pump. The entire standing structure, containing a trio of gas nozzles, toppled onto the Audi that the young man confessed he'd been driving only the last couple months. Just a stone's throw away, a bit closer to the Crieve Hall neighborhood, more damage was evident. A closed-for-the-weekend Marathon gas station lost a few signs to the storms. And across the street, some trees and limbs were toppled, but no structural damage was evident. In early March, Caryn Hill wanted to give back to the community and reached out to Habitat for Humanity. A long admirer of the nonprofit homebuilding organization, Hill wanted to know how her family could help. "I never thought a month or two later, they'd be there to offer us assistance," Hill said. The Hills, who live in Hermitage, are among approximately 40 Nashville-area homeowners who applied for the Habitat's ReConstruct program. It sends volunteers to flood-damaged areas for reconstruction projects. It's one of several nonprofit programs taking shape as volunteer efforts settle in for the long months ahead to help families and neighborhoods try to rebuild. The programs are trying to fill a gap where federal aid and insurance coverage falls short. Local Habitat CEO Chris McCarthy said the number of applicants is expected to grow as the organization, traditionally known for building affordable homes for lower-income families, ramps up its flood recovery efforts. The group is trying to help homeowners who suffered enough damage that they can't do the work on their own, but not so much that the project is a total reconstruction. Homeowners are eligible if they have up to $40,000 in remaining repair costs. The Hills, who suffered extensive damage to their basement walls, cabinets and doorways, are first in line, and work crews are expected to begin Monday. "Obviously, there are many families out there that cannot afford to build or have significant gaps in their ability to rebuild after applying for (Federal Emergency Management Agency assistance and Small Business Administration loans)," McCarthy said. "So, Habitat is here to help with those efforts." The program needs additional funds to help more families. A $50,000 grant from the Tennessee Association of Realtors helped get things started. Jennifer Cole, who serves as the head of human services for Mayor Karl Dean's flood recovery team, said Metro is directing flood victims to private groups who can help rebuild. "We know that for so many people, the money they're getting from federal aid and insurance is not quite covering their needs, and we know we'll need to partner with programs like Habitat to help stretch dollars for homeowners," Cole said. Hands On Nashville and the local Lutheran Services chapter are among groups planning reconstruction programs they will offer in the coming months. Two housing facilities are scheduled to open in August for as many as 160 volunteers that Lutheran Services expects to come to town. The group, partnering with the United Methodist Church, expects skilled general contractors, electricians and construction workers from across the country to volunteer, Lutheran Services in Tennessee Executive Director Kathy Thoreson said. "They'll be skilled in several different areas, and they'll go to homes that have that need that was not met and they'll help with the process," Thoreson said. Cole said the Long Term Recovery Team meets Monday to discuss logistics for a case management program so that flood victims can receive the appropriate resources to meet their individual needs. In addition to reconstruction help, the committee also will direct victims to counseling and other social services. "We would plug them into the right organization to help them rebuild," Cole said. To Read the whole story click on the link above. Wish finding health insurance were as easy as shopping for an airline ticket? A federal government website that starts July 1 takes a step in that direction. The site, for the first time, will give consumers a list of all private and government health-care plans for individuals and small businesses in their areas. The nation's new health-care law requires the site (http://www.healthcare.gov/). Initially, it will provide just basic facts, such as the names of companies, health plans and Web links. Beginning in October, it will list detailed cost and benefits information. Consumer groups and insurers are clashing over exactly what information should be displayed. "What we are trying to do is create some order in the marketplace," said Karen Pollitz, a top official at the new Office of Consumer Information and Insurance Oversight at the Department of Health and Human Services. She acknowledges the site won't be the Expedia of health care any time soon: "This ain't like buying a plane ticket; it is much more complicated." For example, unlike the popular travel sites where people can immediately buy an airline ticket, consumers will have to contact insurers directly to sign up. Insurers including UnitedHealthcare and Aetna say HHS is going too far in planning to list certain data, such as the percent of claims that health plans deny, the rate at which they cancel policies after customers get sick and the number of times patients appeal coverage decisions. They say the data would mislead potential customers. "Let's do what the legislation sets out and not overcomplicate, which will lead to consumer confusion and higher costs," said Aetna spokesman Mohit Ghose. Consumer groups such as AARP and Families USA say the data are vital in helping people pick a plan. The site can "be the great equalizer so consumers can have equal access to information and be on the same playing field as insurance companies," said Elisabeth Benjamin, co-founder of Health Care for All New York, a consumer health- care coalition. "The government needs to make the information as open as possible." The site aims to help consumers navigate the insurance market. The main part of the health overhaul law takes effect in 2014, when there's a major expansion of insurance coverage and the creation of new state-based health insurance exchanges, which are marketplaces to make it easier for individuals and small businesses to buy insurance. These exchanges will have their own websites. "It is a very important first step to give consumers the information they need so insurers are competing on quality of care and customer service," AARP lobbyist Paul Cotton said. HHS has said that in October, when it will begin listing premiums for insurance plans, it will use what Pollitz calls "sticker prices." Actual rates could be significantly higher, based on an individual's health status. Until 2014, insurers are allowed to charge sicker people more and to deny applications altogether. UnitedHealthcare is concerned that consumers could misinterpret even those base prices. The company wants the site to list average prices. Consumer advocates such as Benjamin say consumers should be able to get exact prices from insurers on the site. That could require patients to submit detailed medical histories, at least until 2014. Gov. Phil Bredesen has signed a bill declaring that it is not discriminatory for employers to establish English-only policies where there are legitimate business reasons for them. Federal courts have ruled that employers can require workers to speak English when it is for a business or safety reason but not at other times, such as when they are on breaks. Tennessee Human Rights Commission Director Beverly Watts has said the new bill may create problems for employers because it gives the impression that broad English-only policies are acceptable. Bredesen spokeswoman Lydia Lenker said the governor signed the measure because it does not change Tennessee law and it contains unrelated employment protections for volunteer rescue squad workers. The bill states that those workers cannot be fired for being late to work or missing work because they were responding to an emergency. A decades-old law meant to discourage bars in Tennessee may quietly fall by the wayside, as Gov. Phil Bredesen is set to sign legislation that reduces how much food restaurants have to sell to get a liquor license. In one of the side debates spurred by the battle over whether to let guns into places that serve alcohol, the state legislature has approved a bill that would let bars register as "limited service restaurants" with the Alcoholic Beverage Commission. The new standard is meant to take pressure off establishments — including many of the honky-tonks and nightclubs along Lower Broadway — that have struggled to sell enough food to liquor-drinking patrons to satisfy regulators. "It's a step in the right direction," said Ruble Sanderson, co-owner of The Stage, Legends Corner and two other downtown music venues. "The whole thing has been absurd for years." The new license would go into effect as soon as the bill is signed by Bredesen, who said Wednesday that he supports the measure. "There has always been an issue in Tennessee that we're a little cute by half in the way we define bars," he said. "So I think the notion of recognizing that there are restaurants and there are things you call bars that people go into to get a drink … is the right thing to do." The bill passed the legislature June 9, hours before the General Assembly adjourned for the year. It drew little attention, and some groups that favor tight liquor regulation said this week that they were unaware it was under consideration until it came up for debate. Supporters include the Tennessee Hospitality Association, the Nashville Area Chamber of Commerce and downtown tourism groups. They said the bill will bring Tennessee law in line with reality, eliminating a legal threat that could have shut down some popular Nashville establishments. "We're recognizing what's going on, and we're also recognizing that these businesses have a significant impact on our economy," said Dan Haskell, a restaurant lobbyist who worked on the bill. The measure centers on a clause in the 1967 law that authorized sales of liquor by the drink in Tennessee for the first time since Prohibition. It says serving meals must be "the principal business conducted each day the restaurant is open." Many Nashville bars and clubs routinely run afoul of the requirement, paying a fine of about $1,500 a month to stay in business. In 2009, the ABC board collected $84,000 in fines statewide from establishments failing to meet the minimum food-service requirement. Big Bang, Tootsies Orchid Lounge, Lipstick Lounge and Hollywood Disco were among the places that failed to derive most of their income from the sale of food. Earlier this year, the ABC appeared to clamp down on the food-service requirement more firmly, voting to suspend the license of one Second Avenue bar, Buck Wild Saloon, for 90 days for repeated violations. ABC also stepped up audits, telling establishments that they needed to derive at least half of their income from food sales to meet the law, according to some owners. Danielle Elks, the ABC's executive director, could not be reached this week for comment. The ABC appeared to step up enforcement amid the debate over whether to let people with permits to carry handguns take their weapons into any restaurant, not just those that do not serve alcohol. Some lawmakers sought to write a law that would preserve the ban on guns in bars while allowing them into restaurants, but a Nashville judge ruled last year that state law makes no distinction between the two. This bill would appear to open the door to drawing such a line between the two, but supporters said that was not their goal. They doubt lawmakers would be willing to restrict gun owners after voting to allow handguns into all places that serve alcohol. "There's no going back," said Haskell. Nashville schools want to make it impossible to forget when to give seventh-graders their newly required vaccinations. The school district and health department are teaming for 7-7-7 Day, administering free varicella and Tdap boosters on July 7. The shots guard against chicken pox, tetanus, diphtheria and pertussis, or whooping cough. Those who can't make the event or live outside Nashville can get the vaccines free from their local health departments year-round. Students statewide need them to enter seventh grade after a January decision by the Tennessee Department of Health. The same decision required additional vaccinations for children starting preschool and kindergarten. But it's the shots for older children, typically past such requirements, which seem toughest for parents to sort out. "For all these years, one vaccine has done the trick, so why do they need two now? I'm not understanding why that's the case," said Belinda Tidwell, whose son Landon will enter seventh grade at Sunset Middle School in Brentwood this year. Dr. Mary Keown with Pediatric Associates of Davidson County said the U.S. Centers for Disease Controlhas recommended chicken pox booster for almost five years, she said. "They're trying to get the response of the vaccine from 80-85 percent to 90 percent," she said. "The state of Tennessee is catching up with recommendations." Tennessee was seeing more teens infected after they'd already been immunized as children, said Kelly Moore, medical director of the state immunization program. "These are the first changes to immunization requirements in Tennessee in the last decade," she said. "We only require vaccines that have been recommended for a few years. They are not experimental." It's not required, but doctors are recommending male and female middle school students get Gardasil when they come in for their other shots. The vaccine, launched in 2006 for young women, prevents the human papillomavirus, or HPV, which can lead to cervical cancer in women. In October drug manufacturer Merck approved it to prevent genital warts in young men. Moore advises parents to research recommended vaccines, such as meningitis and Gardasil, to better protect their children. "One population we have a hard time immunizing is pre-teens and teenagers because they don't go to the doctor," Moore said. "Two-thirds of teenagers in Tennessee have not had the vaccines recommended for their age group. We encourage parents to get credible and updated information." To keep it all straight, the state combined four immunization certificates into one sheet parents can keep throughout their children's school years. It is a different color and will list all requirements and recommendations along with the shots students have had. Brian Anthony was getting ready to sell his home when about 30 inches of water poured into it on the first weekend of May. He and his wife, Rachelle, had to scrap their plans to move to Costa Rica and focus on pulling their lives together after the record flood. Nearly two months later, Anthony can expect a buyout offer from Metro government, which wants to get his Pennington Bend home out of harm's way. But he said he's not sure selling is the right move because time might not be on his side. "If they expect us to make mortgage payments … and not live there, that's kind of foolish," said Anthony, who has owned his house since 2001. "I'm not really sure what to do." After weeks of anticipation, Metro took the first step Tuesday to try to buy homes and, where necessary, clear out neighborhoods in the areas most prone to flooding. The process could change the character of some neighborhoods, replacing established communities with parks and green space that won't be developed again. The city mailed letters to the owners of 305 properties that are in the floodway, the area where water flows most swiftly during a flood. The buyout program is the government's most dramatic step yet to help flood victims recover. But with some 11,680 homes and businesses damaged when more than 13 inches of rain hit Nashville, many people will inevitably be disappointed. "I understand the process," said Councilman Bo Mitchell, whose Bellevue district is full of homes that were badly damaged but won't be bought — at least not anytime soon — because they aren't in the areas that are officially the most vulnerable. "But if you've lost your home and all its contents, it's still hard to accept that initially this isn't going to be offered to you." Metro officials say the program is a public safety measure, not a housing assistance plan. Most of the buildings that Metro hopes to buy sustained damage greater than 50 percent of their appraised value, while some were added to the list so they wouldn't be isolated if every neighboring property was removed. Property owners, who could begin receiving letters today, have until Aug. 1 to return them to Metro Water Services, which will apply to state and federal emergency management agencies for approval of any buyouts. The Federal Emergency Management Agency will pay at least 75 percent of the cost, with the city and state covering the remainder. Metro plans to clear every property it buys and keep the space open. The city will be able to turn the land into public parks or wildlife refuges but won't be allowed to sell it or develop it. The green space will help reduce future flooding by soaking up rainwater. "The goal of the mitigation program is to break a cycle of disaster and repeated damage," said Tennessee Emergency Management Agency spokesman Jeremy Heidt, whose agency performed some 700 rescue operations during the May flood. Metro said TEMA and FEMA have estimated it will take 12 to 24 months for the money to be made available for home purchases. The program is voluntary. Property owners need to return their letters to start the process, but that won't automatically commit them to selling. The targeted homes are spread around the county, representing 15 of the 35 Metro Council districts. But about 85 percent of them are in just five council districts, dominated by Bordeaux, the Pennington Bend area in Donelson and the Nations area of West Nashville. Councilman Lonnell Matthews Jr. of Bordeaux said Mayor Karl Dean's administration was being as fair as possible with the buyouts. Matthews said he expects eligible constituents will weigh many factors before deciding to stay or sell. "For some people that may be landlords, this may put them in a better situation where they can get out of some property," he said. "For some of the older residents, this may be putting them in a situation with more financial burden on them." Matthews said some of those residents have paid the mortgages on their homes and won't want to be in debt again, especially if they're on fixed incomes. One of them, Pamela Wood, said the entire first floor of her two-story home was wiped out — furniture, computers, televisions — and stripped, from floors to drywall. "It depends not only on the offer," said Wood, whose home is on the buyout list. "Our house is almost paid for, so do you start all over again? I'm in my 50s. Do we really want to start with a 30-year mortgage? But we don't know what the consequences are for not accepting it." Wood and her husband are living on the upper floor of their house, which they got 17 years ago through a repossession sale and worked tirelessly to fix up. On the other hand, Katie and Robert Taylor, graduate students at Vanderbilt University, have made their decision about the buyout: They want it, now. "Nobody is trying to rebuild," Katie Taylor said. "Our neighborhood is a ghost town. I take it as a sign that most people here want to be bought out. "At this point, because we're waiting for a flood insurance check of some kind and we don't have the money to build on our own, we're just waiting. We're trying to figure out how to pay a mortgage and pay rent." The Taylors' one-story house on Delray Court in West Nashville is a complete loss. They have lived in their cul-de-sac house for two years. Part of the roof above their living room caved in. They stripped all their floors and drywall. "We were very relieved to find out we're on the list, but we don't know what they'll offer," Katie Taylor said. "But this is a good sign. … We have a huge mortgage note, and because we're Ph.D. students, we probably won't be in Nashville to rebuild this house and sell it in the next two years. Nobody will want to buy it because people will know it's a flood house." Nancy Pennington, who owns two lots Metro wants to buy on Pennington Bend Road — the name is a coincidence — said she's also eager to sell after being flooded three times in 36 years. "I hate to leave," she said. "But I can't go through that again. I'm kind of shellshocked at having to start over at 65. But here we go." Authorities say there is no evidence of foul play in the deaths of a Nashville woman and her stepfather, both of whom were reported missing last week. Jamella Finnie, 31, and her stepfather, Craig Townsend, 51, were found dead Sunday morning in Townsend's Kia sedan in the parking lot of a Walmart Neighborhood Market at Edmondson Pike and Old Hickory Boulevard, police said in a news release. Authorities speculated Sunday that Townsend may have had a medical emergency while he was in the car that caused his death. Finnie, who is mentally ill and suffers from hypoglycemia and seizures, was also found dead in the car. Police said Sunday they believe Finnie, who has to take life-sustaining medicine, couldn't get out of the car because of her physical and mental conditions. A market employee discovered their bodies inside the car Sunday morning. Early autopsies revealed no suspicious injuries, Metro Police spokesman Don Aaron said, but "the causes of death are not yet apparent." Investigators are awaiting test results that could shed more light on the deaths. Finnie and Townsend were reported missing Wednesday by Finnie's mother, Gwenn Townsend. The three had gone to another Walmart on Nolensville Road that day. Police said Gwenn Townsend went in to shop while her daughter and husband waited in the car. When she came out of the store, the car was gone. Police said surveillance video from the second Walmart showed Townsend's car pull into the parking lot around 2:42 p.m. Wednesday, about an hour after it left the first store. The car parked in a spot away from the store's entrance. Aaron said police are still reviewing footage from the cameras. A law aimed at educating smokers that "light" or "mild" cigarettes are no less addictive goes into effect today, forcing tobacco companies to drop those terms on packaging and to market packs using color or other codes. After the Food and Drug Administration gained the power to regulate the tobacco industry last year, one of its first acts was to change the way cigarettes can be advertised and sold. Manufacturers may distribute any leftover packs bearing the banned terms through July 21, but they can't print new ones. Dropping labels that make smokers believe their choice is less harmful is a positive move, said Dr. Roger Zoorob, chair of Meharry Medical College's Family and Community Medicine, but it won't help current smokers overcome their addiction. He runs a smoking cessation clinic. "I'm in favor of this law. … There is no such thing as good or light tobacco," Zoorob said. "It's about nicotine. It's harmful and addictive." Tobacco products, including cigarettes and smokeless tobacco, are responsible for approximately 443,000 deaths and $193 billion in medical expenditures and lost productivity each year in the United States, the Food and Drug Administration says. In 2007, Tennessee ranked fifth in the nation for its smoking rate. Nashville smoker Mike Leonard said he knows light cigarettes aren't any less addictive. He had quit smoking for seven years — until he tried a light cigarette six months ago. Now he's buying the cheapest brands available that promote the cigarettes' taste as light or "low tar." "The craving was so strong that I got started again," he said. Smokers do believe in the "light" nicotine mythology, said University of Pittsburgh professor Saul Shiffman, a smoking cessation expert and consultant. Forty percent of smokers polled in a recent survey think that a light cigarette is less harmful, he said. "This (law) is the first step for smokers to realize that lights are not a refuge," Shiffman said. "I think this will have an impact over time." But Mary Harper of Nashville, who smokes Carlton cigarettes, said people will continue smoking because the activity has little to do with wording on a package. "If people have the mindset to smoke, they will," she said. "Mine already tastes light. When people bum off me, they tell me it's like smoking air. People won't stop smoking because of the words … only if it gets too expensive." Tennessee passed a 40-cents-a-pack tax increase on cigarettes in 2007 and saw an immediate drop in the smoking rate, but only by 1 percentage point. John Chiaramonte, the American Cancer Society's governmental relations director for Tennessee, said the best anti-smoking measures keep people from ever getting addicted. "The marketing has been an issue for a long time," he said. Experts say it will take some time to see whether the new marketing regulations, part of the Family Smoking Prevention and Tobacco Control Act, have an impact. • Prohibiting distribution of free samples of cigarettes and restricting free samples of smokeless tobacco products. • Ending tobacco company sponsorship of athletic, musical or other social events. • Banning sale of tobacco products in vending machines except in limited adult-only venues. The Tennessee Supreme Court’s chief justice will unveil today the high court’s plan to make legal aid more available to state residents. “The current economic climate has created a crisis in the need for civil legal services that can be expected to increase as our indigent and working poor face legal problems caused by events such as unemployment, predatory loans, uninsured medical bills, domestic violence, evictions, and foreclosures,” Chief Justice Janice M. Holder wrote in a report on the state of the judiciary earlier this year. Others face language or disability barriers. In December 2008, the state Supreme Court formally announced the Access to Justice Initiative. Four months later, it created an Access to Justice Commission to form a plan to remedy a lack of access to legal help. The panel of judges, attorneys and others in the court system suggested several fixes in a strategic plan submitted to the Tennessee Supreme Court this spring. At an event today, the court will announce which parts of the plan it will adopt. • New policies that require courts to pay for interpreters. • An online system that would let people in rural areas where legal help is scarce talk with attorneys in bigger cities. NASHVILLE, Tenn. - A 24-year-old man drowned Monday afternoon at the Southern Oaks Recreation Area off Stewart's Ferry Pike. It happened off a cliff area at the Seven Points Campground on Percy Priest Lake. Police said the man was with friends who were swimming when he jumped in feet first. His friends told police they didn't know he couldn't swim. Officials said the man paddled around before going under. His body was found a short time later just ten feet away from the bank. Metro police were still on the scene investigating Monday afternoon. NewsChannel 5 has a crew on the scene. We will have the latest updates on NewsChannel 5 at 5 and 6 p.m. as well as NewsChannel5.com. NASHVILLE, Tenn. - Middle Tennessee residents lined up for cheap gas in Antioch Saturday morning. The first 200 cars in line at the Murphy Oil gas station on Hamilton Church Road were able to fill up for just seven cents per gallon. It was a promotion by Common Cents Mobile to get attention for their seven cents a minute cell phone plans. Common Cents Mobile team members were on hand to pump the gas, wash windows and provide giveaways including Common Cents Mobile phones and service. Common Cents Mobile offers a simple, concise portfolio of 7-cent minutes that Round Down, not up, as well as 7-cent text messages and is powered by the Nationwide Sprint Network. Common Cents Mobile is available at Wal-Mart stores in select markets including the Nashville area. The line was so long that some people didn't get a chance to take part in the promotion, but those that were able to fill up their tanks were excited. "It's wonderful, SUV I drive way to Nashville everyday to work. I'm excited! This has been wonderful though," said driver Chanel Roland. FRANKLIN, Tenn. - Franklin police are searching for two men who impersonated a police officer and forced a teen to take a drug test. Police said the two men went up to a juvenile at the Walgreens on Fieldstone Parkway around 3:30 p.m. Saturday. The men were wearing navy blue uniforms with a gold badge, black, patent-leather shoes, and a gun on their belts. Police said the juvenile told them the men showed them the credentials in their wallet and said the victim matched the description of someone seen using drugs in the area. The impersonators had the juvenile submit to drug tests and then let him go after telling him the tests came back negative. The suspects were last seen heading north on Hillsboro Road in a white Ford Crown Victim with a license plat on the front with black lettering and a license plate frame with "City of Franklin Police" written on it. Franklin Police would like to remind residents that Franklin Police will never ask a juvenile to submit to drug tests without contacting a parent first. A real police officer will never ask someone to go off into the woods to submit to drug tests. Always stay in a well-populated area, such as a parking lot, when speaking with police officers in public. 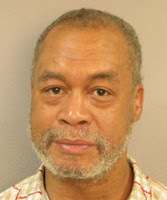 NASHVILLE, Tenn. – The bodies of a missing woman and her stepfather have been found in the parking lot of the Wal-Mart Neighborhood Market in Nipper's Corner. Police confirmed that the bodies of Jamella Finnie and Craig Townsend were found around 8:30 a.m. Sunday inside a car in the parking lot at the corner of Edmondson Pike and Old Hickory Boulevard. Police said a Wal-Mart manager was going into the store and saw two bodies slumped over in a vehicle. The manager flagged down a Tennessee Highway Patrol trooper who walking into a nearby Starbucks to get coffee. Police have not yet released how the two victims died, nor have they released any other details. Jamella Finnie was last seen at 2:15 p.m. Wednesday outside the Wal-Mart on Nolensville Pike near Old Hickory Boulevard. Finnie was a passenger in a car driven by her mother's husband, 51-year-old Craig Townsend. Her mother told police she'd gone inside the Wal-Mart to go shopping and left Finnie in the car with Townsend. When she returned, her husband had driven off with Finnie in the car. Jamella's mother told police that her daughter required life-sustaining medication that Townsend does not have in his possession. Craig Townsend, 51, is married to Finnie's mother. NASHVILLE, Tenn. – Officers are asking for the public's assistance in locating a missing woman who is mentally challenged and suffers from hypoglycemia and seizures. 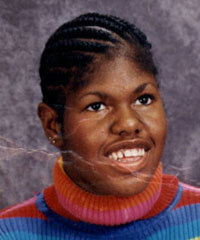 Jamella Finnie, 31, of Nashville, was last seen just after 2 p.m. Thursday outside the Walmart on Nolensville Pike. Metro police said Finnie was a passenger in a car driven by her mother's husband, 51-year-old Craig Townsend. Finnie's mother told police she went inside the store to shop while Townsend and Finnie waited in the parking lot. When she came back outside, they were gone. Townsend is driving a 2004 brown Kia Optima sedan with Tennessee license plate No. 397-VLF. Finnie's mother told police that her daughter requires life-sustaining medication that Townsend does not have in his possession. He also does not have a cell phone. Finnie is five feet, three inches tall and weighs 115 pounds. She has shoulder-length, braided hair. She was last seen wearing blue jeans, white tennis shoes and gold earrings. Anyone with information on her or Townsend's whereabouts is asked to call Metro police at 615-862-8600. WASHINGTON — President Barack Obama wrested a $20 billion compensation guarantee and an apology to the nation from British oil giant BP on Wednesday, announcing the company would set up a major claims fund for shrimpers, restaurateurs and others whose lives and livelihoods are being wrecked by the oil flooding into the Gulf of Mexico. Applause broke out during a community meeting in Orange Beach, Ala., on the news. "We asked for that two weeks ago and they laughed at us," Mayor Tony Kennon said. "Thank you, President Obama, for taking a bunch of rednecks' suggestion and making it happen." Obama had said he would "make BP pay," and the company's chairman said after four hours of intense White House negotiations that BP was ready. The unending oil spill saga had yielded almost no good news before this. Creation of the fund — to be run by an administrator with a proven track record — is the first big success Obama has been able to give to Gulf residents and the nation in the eight weeks since a drilling rig explosion gave birth to the massive spill. Obama and London-based BP PLC said the $20 billion figure was by no means a cap. The deal also adhered to what Obama had said was his non-negotiable demand: that the fund and the claims process be administered independently from BP. It won't be a government fund, either, but will be led by the administration's "pay czar," Kenneth Feinberg, better known as the man who oversaw the $7 billion government fund for families of victims of the Sept. 11, 2001, terrorist attacks. The April 20 explosion of an offshore oil rig killed 11 workers and sent millions of gallons of crude spewing into the water from the broken well a mile below the surface — as much as 18 million gallons and still flowing. More wildlife, beaches and marshlands are fouled every day, jeopardizing not just the region's fragile ecology but a Gulf way of life built on fishing and tourism. On Wednesday, BP began burning oil siphoned from the ruptured well as part of its plans to more than triple the amount of crude it can stop from reaching the sea by the end of the month, according to the company. Though BP hopes to install equipment soon to capture up to 90 percent of the escaping oil, the leak is expected to continue at least until relief wells are finished in August. "What this is about is accountability," Obama said after a four-hour, on-again, off-again White House negotiation session with BP executives. "For the small-business owners, for the fishermen, for the shrimpers, this is not just a matter of dollars and cents. ... A lot of these folks don't have a cushion." BP Chairman Carl-Henric Svanberg apologized for "this tragic accident that should never have happened." "We care about the small people," he said. This wording upset people, and he apologized later Wednesday, saying he spoke clumsily. Company CEO Tony Hayward will face sharp questions from lawmakers on Capitol Hill today. On Wednesday, Hayward expressed contrition and pledged, "We will not rest until the well is under control, and we will meet all our obligations to clean up the spill and address its environmental and economic impacts." BP also agreed to establish a separate $100 million fund to support oil rig workers idled by Obama's six-month moratorium on new deep-sea oil drilling. The administration also was to ask Congress for special unemployment insurance for the workers. The Tennessee Valley Authority is raising rates for a fifth straight month due to higher fuel costs, adding up to $4 a month for residential customers. Compared with June, the July fuel cost adjustment will increase monthly residential bills between $1.50 and $4, depending on usage. The utility said in an online statement that the higher rate also reflects projected increased generation to meet summer demand. TVA has nearly 9 million consumers in Tennessee, Alabama, Mississippi, Kentucky, Georgia, North Carolina and Virginia. Jim Cheeks wears a white lab coat, carries a stethoscope to listen to your heart and writes prescriptions for what ails you. But Cheeks isn't a doctor. He is a family nurse practitioner who co-owns a primary care practice, Mount Juliet Family Care, without an onsite doctor. Cheeks and co-owner Bruce McLaughlin are part of a growing movement of nurse practitioners breaking out to start independent primary care practices. With fewer years of schooling and less debt, they enter the work force at five times the rate of primary care medical residents. Nurse practitioners believe they could be part of the solution to the growing shortage of primary care doctors and ever-expanding health-care costs. But some question whether they have sufficient training to ensure that patients are safe. "Physicians train for as long as they do for a reason. It's to look for underlying issues and provide comprehensive medical care," said Kasey Dread, executive director of the Nashville Academy of Medicine, a chapter group of the Tennessee Medical Association. "It's about patient safety, from the physician's perspective." "In a family practice I do most things a general practice physician does, and there is not a lot I wouldn't feel comfortable treating," said Cheeks, who opened his practice six years ago. "More and more, we will become the primary care provider for more patients. Nurse practitioners are very competent and capable to manage routine health issues." The nation is expected to see a shortage of about 140,000 primary care doctors by 2025, and medical schools aren't turning out enough future doctors to fill the gap. Nurse practitioners say they are prepared and competent to help. They are registered nurses trained in advanced nursing practices at the master's or doctoral level. An estimated 135,000 nurse practitioners work in the United States today, an increase of more than 60 percent since 2005. In Tennessee, nurse practitioners are required to contract with a supervisory doctor, who doesn't have to be present during patient visits but must sign off on 20 percent of patient charts each month. The supervisory doctor can be held liable for any discrepancies by the state Board of Medical Examiners. Nurse practitioners also are held responsible under their licensing board rules. Under state law, nurse practitioners can write any prescription, including narcotics, just as doctors do and can see anyone for any health issue. About two years ago, the Tennessee Medical Association created a committee to examine whether the state laws were strong enough to protect patients, said Dr. F. Michael Minch, president-elect of the industry organization. "The way the laws are put together, right now, seem to function very well," said Minch, who headed the committee. "We didn't see any incidences where patients were harmed." Minch said the medical association offered guidance to doctors on the issue. "The crux of the matter is there should be an ongoing interaction between physician and nurse that allows for consultation," he said. "As we come up on the primary care shortage, particularly in primary care, we are going to need them, but there should be an effective relationship." Dr. Karen Duffy, of Madison Minor Medical Center, doesn't like the idea of nurse practitioners in private practices. After one bad experience that almost led to a malpractice suit, she won't use them in her practice. "Primary care physicians need to know so much about so many things," said Duffy, who has been practicing for 27 years. "A patient can walk through your door and on the surface seem fine, and really be very, very ill. They have not had enough experience." She agrees a solution is needed for the doctor shortage but doesn't believe that includes nurse practitioners. "I know the way things are going that is being pushed by insurance and government because it's cheaper," Duffy said. Cheeks said insurance companies, including Medicare and TennCare, are willing to reimburse him as a primary care provider, though sometimes at a lower price. "Medicare reimburses at 85 percent of the physician fee schedule," he said. "Many will reimburse for the same level of service." Listed as primary care providers on insurance networks, Cheeks and his partner have expanded to two clinics — the one in Mt. Juliet and another in Watertown. Among four practitioners and staff, they have about 18,000 patients. "There would be a lot of nurse practitioners doing this, if more physicians were willing to fill the supervisory role," Cheeks said. "If you take the handcuffs off of nurse practitioners, it will immediately improve the availability of primary care providers without hurting physicians' practices." Patients such as Katy Johnston increasingly are choosing nurse practitioners, who have an estimated 600 million patient visits each year, according to the American Academy of Nurse Practitioners. By comparison, physicians' offices have about 902 million visits each year, according to data from the Centers for Disease Control and Prevention. Johnston went to her first nurse practitioner appointment six years ago, not fully understanding the differences between the advanced nurse and a physician. She was looking for a woman provider close to home and wanted to feel like she wasn't rushed — not always the case with her previous primary care providers, she said. She found Jane Case, a nurse practitioner for the Vanderbilt Clinic in Green Hills. "It's been seamless for me. She writes prescriptions, she makes my referrals and she sits with you like a family member to answer all your questions," Johnston said. Case has been a primary care provider for 10 years, building a base of 4,000 patients. She sees about 20 patients a day for sick visits, stress concerns, well-woman exams and chronic disease management. Case also was in the first graduating class this spring in Vanderbilt University's Doctor of Nursing Practice, a doctoral-level program for nurse practitioners. The American Academy of Nurse Practitioners wants all nurse practitioners to have doctoral-level degrees by 2015 to bring them on educational par with other health-care providers, such as pharmacists, medical doctors and psychologists. With the doctoral degree, a nurse could spend six to eight years in school, including undergraduate, master's and beyond. Nurse practitioners' average debt for schooling is about $64,000. Doctors usually do four years of undergraduate work, four years of medical school and two to three years of required residency training, acquiring an average of $141,000 in debt. About 120 Doctor of Nursing Practice programs, five-semester doctoral degrees, exist around the country, and Vanderbilt is the only one in the Nashville area. The University of Tennessee Health Science Center in Memphis and Union University in Jackson also offer the degree. Another 161 programs are in the planning stages, said Donna McArthur, director of the Vanderbilt program and nurse practitioner. Case hopes that the future of health care includes collaboration between doctors and nurses of all levels and specialties. "Health-care reform will be a blessing for so many because there are so many who are in need, but there will also be more patients who need care," Case said. "And as for how our role will change — we'll be seeing or at least helping more patients." Metro plans to seek out a consultant to develop a long-term community flood recovery plan that could open the door to federal grants and other post-disaster funding. The Federal Emergency Management Agency offers a variety of financial assistance for towns, though part of that requires going through such a planning process. "First and foremost is to look at mitigation, reinvestment and redevelopment," said Curt Garrigan, assistant director of Metro Parks, who is overseeing infrastructure and planning for the mayor's flood recovery team. The team already has gone over work that consultants did for a couple of other towns, including in Cedar Rapids, Iowa, after catastrophic flooding there in 2008. Metro will issue a request for proposals from consultants to assist here, which could go out before next month, Garrigan said. The cost hasn't been determined. The consultant would be asked to look at such things as housing impacts, strategies for possible new housing or infill and neighborhood stabilization adjacent to flood-affected areas. "Part of it is to engage the community," Garrigan said. "Through the summer, we would want to have some public meetings." Work had been under way already on an open space strategy — called Nashville: Naturally — for Metro to balance conservation and growth, and the two plans will be complementary, he said. After flooding early last month wrecked thousands of homes and killed at least 10 people, Metro Councilman Darren Jernigan of Old Hickory wanted to ban all building in flood plains. He now has put his bill to do so on hold and backs the plans to bring in a consultant. "We're going to have to identify flood plains and flood fringes," Jernigan said. "There are several things we want to talk about." Creating storage for water during high floods — including wetlands that can hold water — is among the ideas, he said. Several towns and cities have been devastated by flooding in the past few years, and they've turned to various ways to try to lessen the chance and extent of damage in the future. They include considering what land is built upon, how much land is developed that sends runoff into creeks and lakes, as well as where levees are and how high they are. Cedar Rapids found itself mostly underwater in mid-June 2008, losing 310 city facilities, including City Hall along with every other administrative building. Ironically, the city had earlier declared it would be the "year of the river" to highlight and find ways to take more advantage of Cedar River, which runs through it. "What a year it became," said Sandi Fowler, assistant to the city manager. Because of greenway and other river-related planning under way, consultants were already under contract when the waters inundated the community. That allowed work on a flood management and redevelopment strategy to start immediately, she said. Ten neighborhood plans were developed as the community mulled what the town should look like in the future and how it should be rebuilt. The focus is still on the river, but ways to reduce flooding are essential now. The U.S. Army Corps of Engineers is studying the feasibility of a proposal the city has made that could cost at least $600 million. Federal funds would be requested for it. Under consideration are more green space to soak up water and enhanced levees and floodwalls, including permanent and removable ones downtown. Pillars would be put in place along the river in downtown, and workers would use heavy equipment to attach metal walls to them before floods hit. "You have the view of downtown at all times except at times of a flood," Fowler said. In Indianapolis, where the White River leapt out of its banks in 2008, about $88 million is being spent on repairs to infrastructure, according to city public works spokeswoman Sarah Holsapple. Fixing storm drains and keeping them clear has been a big part of the approach, she said. Better communication has been established for flooding emergencies, and sections of town have been identified and targeted for quick help in any future flooding, she said. In Nashville, Councilman Jernigan said his bottom line is still to see residential development eliminated in areas where residents might one day find their homes underwater. "The day of a developer going in and building something, making their money and leaving is gone," he said. "They need to care about the people living there." Click Link to read entire story! Nashville has a reputation as a city unfriendly — if not downright hazardous — to pedestrians and bicyclists. 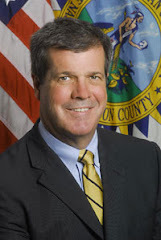 Mayor Karl Dean has called for improved walkability and pedestrian safety in the city. How's it going so far? • A citywide bike-sharing program: By spring 2011, there will be hundreds of public-use bicycles stationed around the city, available for people to use for quick trips around town. A pilot program with 30 bikes will launch this summer at the Shelby Bottoms Nature Center and the Music City Star train station. • Pedestrian safety study: Within the next few months, Metro will release an analysis of all the serious vehicle-pedestrian and vehicle-bicycle accidents over the past five years. The goal is to identify the most dangerous roads and crossings in the city and work to make them safer. • Greening the "food deserts": Metro will reach out to low-income neighborhoods, where residents have limited access to well-stocked grocery stores. One program will encourage the creation of community gardens; another will install refrigeration units in small corner stores and help shopkeepers stock up on healthy fruits and vegetables for their customers. Metro Nashville Public Schools will open its first virtual high school this fall. Courses will be offered entirely online and accessible to everyone from home-schooled students to Metro students looking for elective classes they can't find at the school they attend. The virtual high school is still under construction. The district has yet to decide which classes will be offered, how many students will be enrolled and how widespread the first year's effort will be. But it's all part of the school district's long-range goal to ensure that all students take at least one class online before they graduate. "There's an assumption that children today are completely plugged in," said Keisha Ray, director of instructional technology for the school district, who is working this summer to organize the first classes at the virtual high school. But just because children can simultaneously text messages and play video games doesn't mean they know how to use technology as a learning tool, Ray said. Taking a class online teaches students skills that range from how to behave in a civil manner during an online chat to how to critically screen the information they read on the Internet, she said. "When you don't introduce them to their future work environments, you haven't adequately prepared them for life." Online classes also give students a chance to work at their own pace, and they open opportunities to students who may not fit into a traditional classroom environment. Metro set aside $556,000 to help launch the virtual high school. Part of that fund also will be used for a separate initiative to help young offenders transition back to school after they have served time, said schools spokeswoman Olivia Brown. Most Metro schools already offer plenty of computer-based lessons that students can take at in-school computer labs. The virtual high school would allow students to take the same classes from their kitchen table. The students taking online classes in high school now also are getting a taste of what may wait for them in college. Almost every community college and public university in the state offers online classes. The Tennessee Board of Regents Online Degree Program allows students to earn associate's, bachelor's and master's degrees from home. At Vanderbilt University, half the students earning master's degrees in nursing are doing so online. "You can live in another state or you could live in Franklin and just not want to drive in for classes. Or you may work all day and not have time to drive down," said Kathy Rivers, spokeswoman for the Vanderbilt School of Nursing. The 400 nursing graduate students learning online do come in periodically for three-day "block weekends" of intensive classroom training, but the rest of the time, they're working their studies around their day jobs — some of them from as far away as Wyoming. "People really love it," she said. "A lot of people are already entrenched in the town they live in. … To not have to relocate and still get a Vanderbilt-caliber education is really something special." Rivers knows the advantages of online learning first-hand. After her day job at the university, she logs on for an online Spanish course offered by Nashville State. The class software even allows her to record her voice and listen to her pronunciation of the vocabulary words, compared to a native speaker's pronunciation. "The technology was overwhelming at first," she said. "But it's just fascinating." You can take the classes out of the classroom, but that doesn't cut the teachers out of the picture. Chris Wiley, who heads the virtual curriculum at the Academy at Opry Mills, gives his students his cell phone number and encourages them to call him when they have questions about their online lessons. Online classes, which allow students to go at their own pace and on their own schedules, are particularly useful for Academy students, senior dropouts who have returned to earn their diplomas. Many of his students work full time, sometimes well past midnight, and can fit their classwork around their work schedules. We've really found that most kids flock to computer-based learning," Wiley said. The computer gives instant feedback — a little apple pops up when they complete an assignment, letting them know they're making progress. "It really is an awesome thing," he said. As Wiley talked, a group of two dozen Metro high-school students worked quietly at banks of computers in the Stratford High School library. It was an extended learning class — the new high-tech version of summer school. This group consisted of students working on English, social studies and Spanish, reading materials and typing in answers and waiting for the computer to let them know if they were getting the hang of the material this time. Teachers patrolled the room, answering questions as needed. The idea of expanding these lessons into a complete virtual high school is already generating interest, Ray said. One mother contacted her at the start of the summer, hoping to enroll her daughter. The youngster is facing surgery and probably will miss a great deal of school. Virtual high school classes could keep her from falling behind. Recently, Ray said, a mother withdrew a student from school so her daughter could join her on a working sabbatical to Africa. If the virtual high school had been in operation then, Ray said, the student might not have had to miss that semester. "Next year, that parent would be able to enroll her in a virtual classroom, missing no credits, missing no school," she said. Advocates for more green space in Nashville say last month's flooding has given the idea of balancing conservation and growth new emphasis. Open land can act as a sop for floodwaters, and the topic drew more attention than originally planned at meetings earlier this month for Nashville: Naturally. The public-private project is exploring ways to make the city healthier and more economically vibrant through the right mix and network of development and natural areas. "For the most part, people said any tragedy presents you with an opportunity," said Bob Brandt, a founding board member of the Land Trust for Tennessee and a member of the Metro Parks Greenways Commission. "That's what we have here." At two meetings June 3 seeking public input on saving and enhancing open space in Nashville, benefits discussed included decreasing the flood risk. Impenetrable pavement and traditional buildings are among contributors to quickly rising floodwaters like those seen during last month's unprecedented rainfall. "This is a chance for Nashville to get a grip on managing flood plains," said Brandt, who helped conduct a session at the meetings. "Most were very sympathetic to preserving more open space. The opposite of that contributes to the flooding. Along Mill Creek and the Harpeth River areas are where you have huge swaths of pavement." In many parts of town, including Bellevue and Antioch, normally calm waterways turned into sprawling torrents headed for the Cumberland River. One map presented at the meetings showed the city's tree canopy with blocks of forested green that run through much of the far north and northwest of the county, down to the southwest. But other areas had a few patches at best. The meetings drew about 250 people to help with suggestions for the Nashville project spurred last year by Mayor Karl Dean's Green Ribbon Committee. The Land Trust for Tennessee is overseeing the open space planning, with funding from the Martin Foundation. The Conservation Fund is the consultant. A public summit will be held Sept. 15 before a final report is done. About 18 percent of Metro Nashville is open space or waterways. But about half of that — about 30,000 acres — could end up being developed, according to Nashville: Naturally research. Options for increasing urban green spaces could include acquiring more parkland, encouraging or requiring more green space during development and educating property owners about programs to put pieces of their undeveloped lands into protected easements, which can bring a tax break. Groups like the West Meade Conservancy are already doing this. Another element that could, by coincidence, add more green space is a buyout program for property owners in the floodway. For public safety reasons, Metro, in consultation with state and federal officials, is looking at purchasing properties deemed too hazardous for homes or offices. Parcels acquired through the voluntary buyouts, which officials initially plan to offer to about 200 people, will revert to green space. Fifty-four properties had been purchased and converted to green space through the mitigation program in the past five years. Linking green space, historical and cultural sites, shops and the community at large is key to Nashville: Naturally. "It would be exciting to have more incentives for builders to have more green space and walk-ability in their plans," said Anna Altic, an East Nashville real estate agent who attended one meeting. She wants a city with "more connectivity," achieved with more places for walking and bicycling, and would like downtown to be a hub with spokes going out to neighborhoods like Waverly-Belmont and Sylvan Park. Margo Farnsworth, who also attended a meeting, focused on the water issues as senior research consultant for the Cumberland River Compact. 3Previous PageAdvocates for more green space in Nashville say last month's flooding has given the idea of balancing conservation and growth new emphasis. RelatedNashville Flood 2010Complete coverage of Nashville flooding Flood of 2010 Resource GuideINTERACTIVE TIMELINE: Follow the events as they unfoldedAt two meetings June 3 seeking public input on saving and enhancing open space in Nashville, benefits discussed included decreasing the flood risk. Impenetrable pavement and traditional buildings are among contributors to quickly rising floodwaters like those seen during last month's unprecedented rainfall. Green space incentivesAbout 18 percent of Metro Nashville is open space or waterways. But about half of that — about 30,000 acres — could end up being developed, according to Nashville: Naturally research. RelatedNashville Flood 2010Complete coverage of Nashville flooding Flood of 2010 Resource GuideINTERACTIVE TIMELINE: Follow the events as they unfoldedFor public safety reasons, Metro, in consultation with state and federal officials, is looking at purchasing properties deemed too hazardous for homes or offices. Parcels acquired through the voluntary buyouts, which officials initially plan to offer to about 200 people, will revert to green space. "Sometimes people try to out-engineer Mother Nature," she said, referring to building more dams or widening channels. "Green infrastructure and mimicking the natural hydrology of a watershed just gives you so much more bang for your buck." For example, at its property where Aldi is located in East Nashville, H.G. Hill Realty put in trees and a natural swale on the parking lot to slow and filter water, so it can sink into the earth rather than rush down the street and into storm sewers. Increasingly, new buildings have plant-covered roofs to help with cooling and to use and slow rainwater runoff. These include the Freeman Webb building in Green Hills. Buffers of trees and plants along waterways filter runoff, too, and keep creeks and rivers cooler and cleaner for aquatic life and drinking water supplies. "Don't build right up to the edge of a stream," Farnsworth said. "Let the banks and the flood plains act like the sponge they were designed to be." Such practices can reduce flooding, she said, but wouldn't prevent it in the case of rainfall like Nashville received in early May — more than 17 inches over two days in some places. Undeveloped land, once viewed as unproductive, is now considered an asset that can add economic benefit and vitality to a community, said Steve Morse, director and economist of the Tourism Institute at the University of Tennessee. When it comes to protected green space, Nashville has about 18 acres of dedicated parkland per 1,000 residents, compared with 128 acres in Jacksonville, Fla., and 35 in Austin, Texas, according to the Trust for Public Lands. Nashville does still have large stretches of undeveloped property to the northwest and southwest, but how that might change is the question. "The country is urbanizing even more," said Jean C. Nelson, president and CEO of the Land Trust for Tennessee. The city also is competing with towns in other states for good-paying jobs and tourists. "We've got to get ahead of the game," she said. "We're going to need many more places for people to live and work. We've always been this beautiful place, but we can't take it for granted."